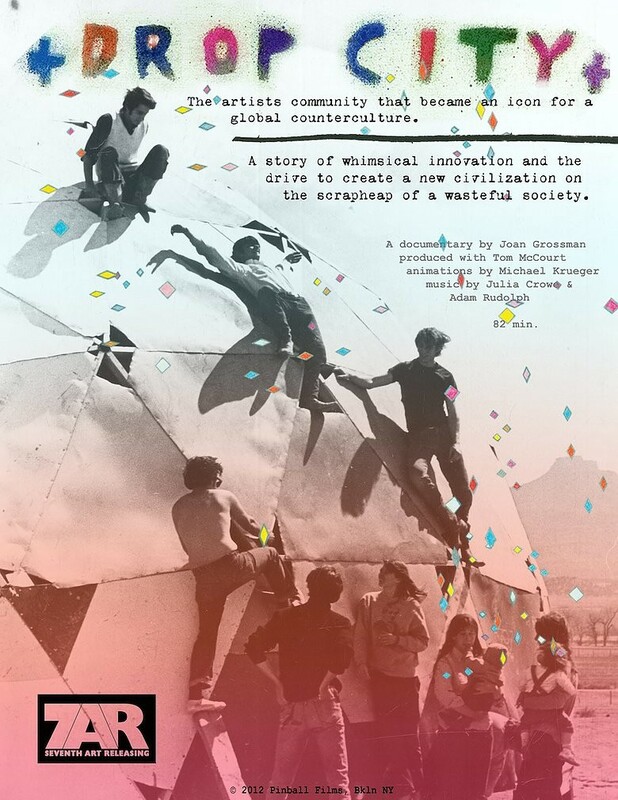 Join Lancaster Arts and Insight Film Club for a screening of Drop City, the first documentary about the artists community that became an icon for a global counterculture. In 1962, Gene Bernofsky, Jo Ann Bernofsky and Clark Richert were students at the University of Kansas in Lawrence. Gene and Clark developed a concept they called “Drop Art” (coining the term well before the era-branding slogan, “Turn on, tune in, drop out”)​. "Dropping" artworks from the rooftop of a loft space in Lawrence, they were making art a spontaneous part of everyday life in the face of a society they saw as increasingly materialistic and war-mongering. In 1965, they bought a small piece of land near Trinidad, Colorado and ​called their settlement Drop City. They were soon joined by other artists, writers and inventors, and they started building a community that celebrated creative work. Drop City attracted international attention and inspired a generation of alternative communities. But the flood of attention led to overcrowding, and the community was eventually abandoned to transients. By 1973, Drop City had become the world’s first geodesic ghost town. Drop City is now recognized as the first rural commune of the 1960s, and its early experiments with solar technology and recycled materials speak to a green economy and a new generation of DIYers. Fore full credits, see website. "We liked to collect the detritus around us and to make things..."